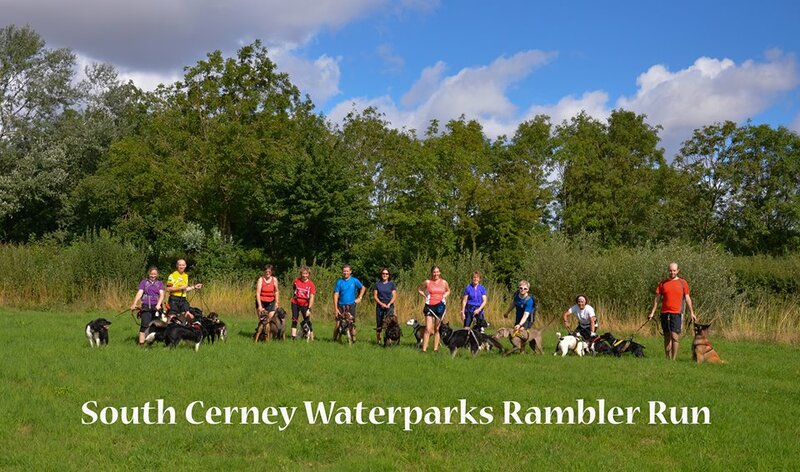 Canicross is growing in popularity in the UK so rapidly, it is getting easier to find groups of people local to yourself to join in with the fun. However if you’re in an isolated area, why not start your own group and encourage others to join you? 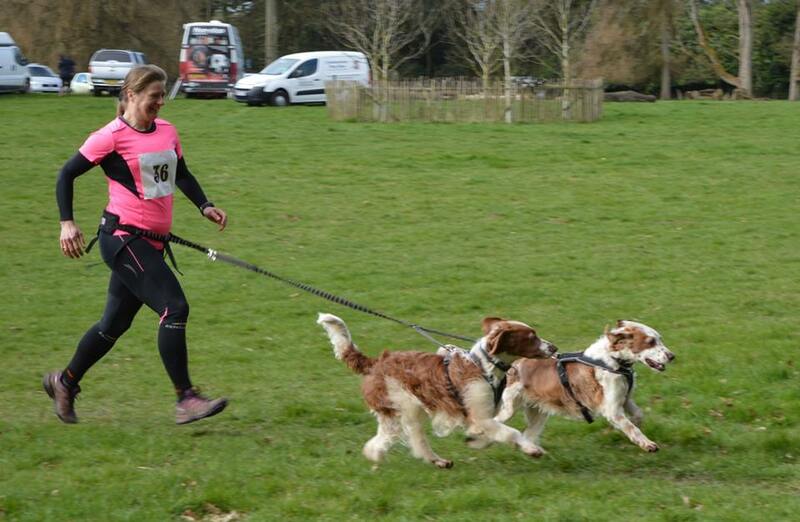 I’ve outlined a few things to think about below which will help you to start up your own social canicross group, as at the end of the day you’ve already got your dogs in common, so it should be easy to find people who will share your love of the sport. 1. 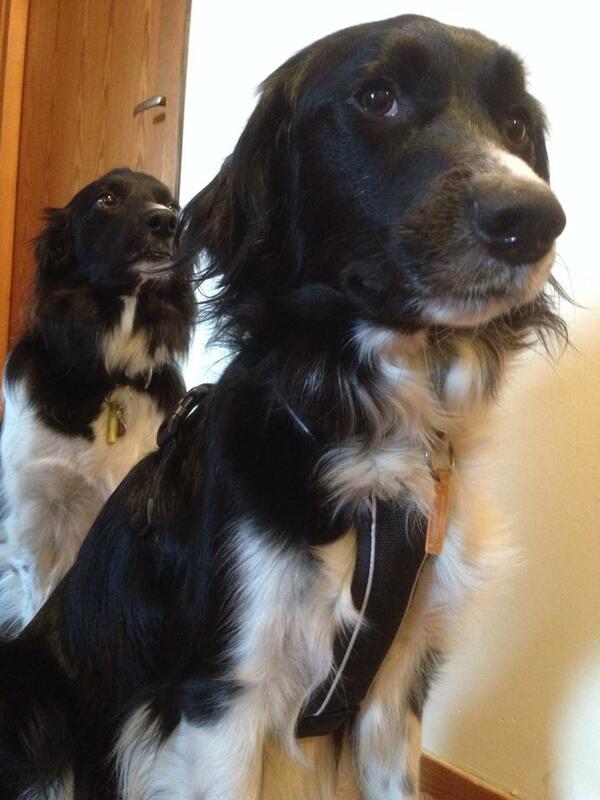 Find some suitable canicross routes – your routes need to have adequate parking, where you can load and unload dogs in safety off the road. The trails themselves need to be beginner friendly, so not too technical with boggy mud or ankle breaking ruts. 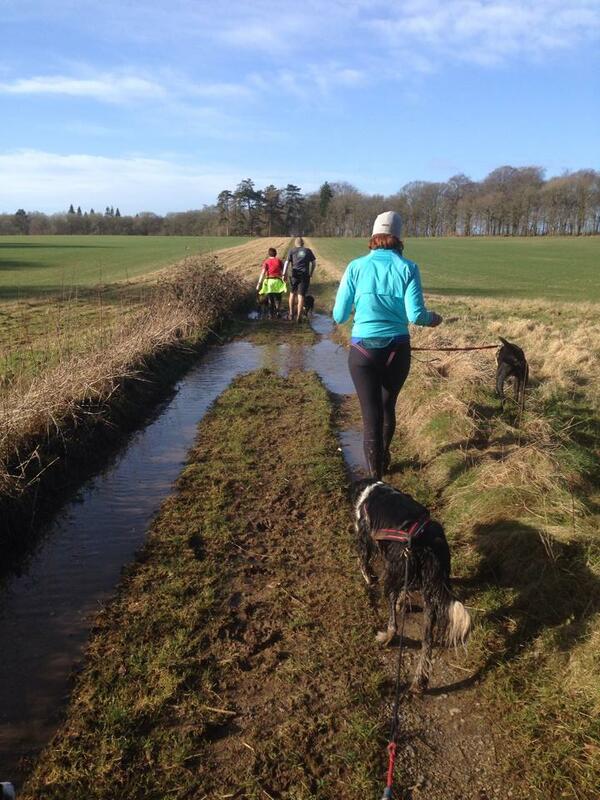 Think about water stops for the dogs on the route and make sure you know the area well enough to be able to direct people back to the car park if need be. 2. Set up a Facebook group – this will give you the opportunity to share your runs as events and invite people who may join your group to join your runs. I’d always suggest keeping the group closed for security, although if you’re running in a group this shouldn’t be a problem. 3. Advertise your runs – you can use your Facebook group to do this and also advertise on the national canicross groups to say you’ve set up the group. You may well find there are people in your area who did not realise there were others organising runs and will want to join you. You could also put up posters in the local area and carry contact cards to hand out to people who might be interested in what you are doing if they see you out and about. I know many groups who have gained members through doing this. 4. Consider carefully insuring your runs – insurance is something which always rears it’s ugly head whenever you start to organise things for other people. If you are inviting people along to something you have organised, you risk someone who joins you or even a 3rd party making a claim against you if something unexpected happens. Thankfully I have heard of very few incidents of this nature so far, but it is worth investigating this further if you want to be covered. It is still a grey area in the UK as the sport is relatively new and growing at such a rate, underwriters are unsure what risks there are to insure. 5. Provide an incentive – Cake is a good one and used by many. If you’re starting up a canicross group, advertise there will be cake at the end and you might be surprised how many people turn up! It also helps if you have some spare kit for anyone who has never taken part before. This could be as simple as a spare bungee line, or you may have some spare harnesses and even a belt if you have been participating long enough to have collected some kit. 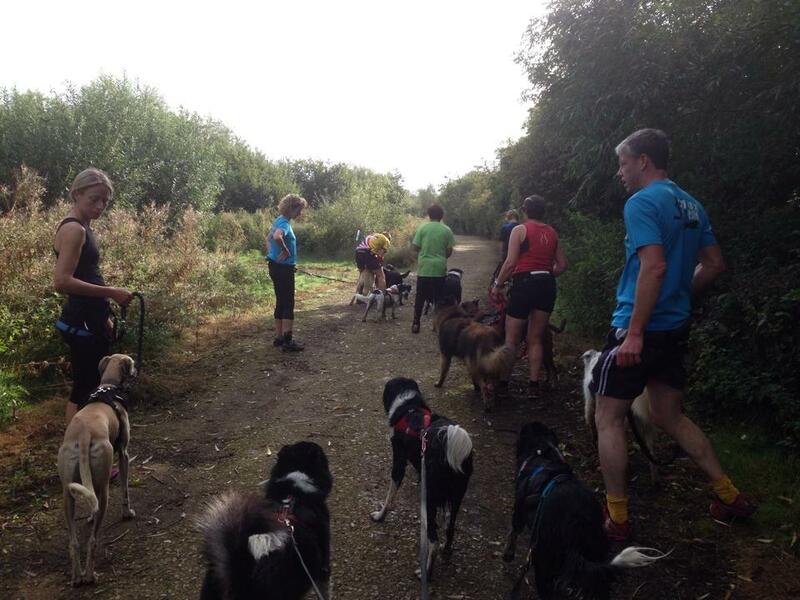 The main thing to remember is that canicross should be fun and I’ve found that by running in a group, you can socialise your dog and learn in a more relaxed atmosphere than most of the races we attend. Setting up a group is a great way to find like minded people in your area and you can even attract new people to the sport if they see you out and about having fun – so go for it! This is a short little blog highlighting the features of the Non-stop Half Harness which was re-designed from the Non-stop Line harness and released at the beginning of 2014. The Non-stop Half harness is one of the short ‘shoulder’ harnesses on the market and has the traditional diamond neck shape which is designed to keep the backwards pull out of your dogs’ throat and onto the shoulder area, without restricting the dogs’ shoulder movement in any way. The harness sits just behind the dogs’ shoulder joint but has an extended section underneath which means the harness sits further behind the front legs of the dog than most other shoulder harnesses on the market. The Half harness has wide, padded, waterproof material and webbing straps which spread the pull and prevent rubbing, even in thin coated dogs. 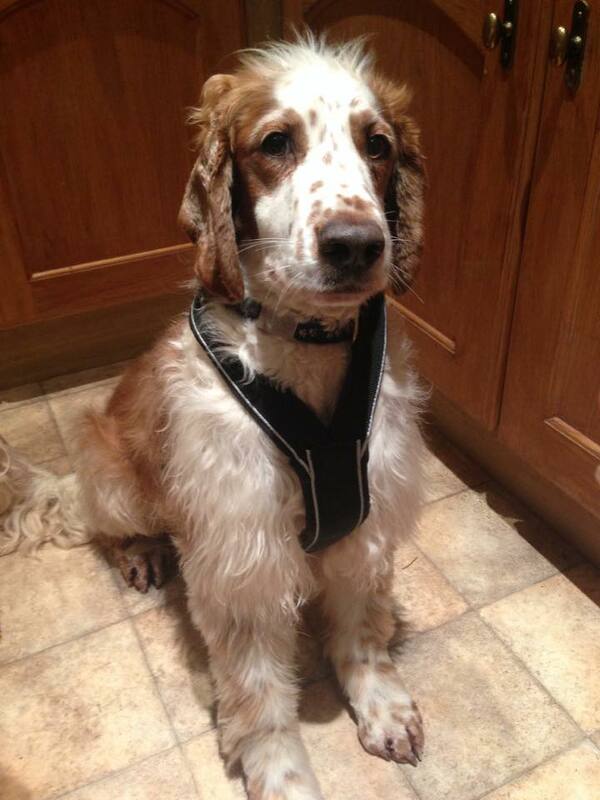 As with most harnesses, the neck is a fixed size and should fit snugly with a few fingers gap, not too loose. 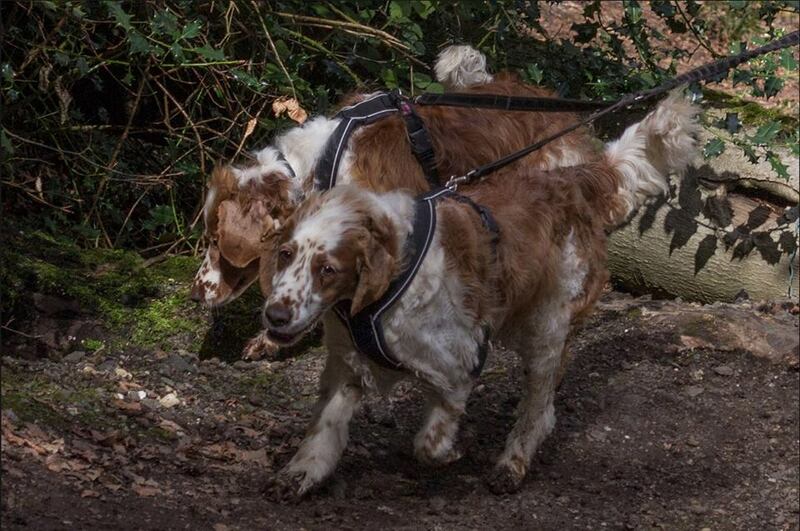 The Half harness has two clips on adjustable webbing straps which attach on the top of your dogs’ back and make putting this harness on and taking it off, very easy, even for wriggly dogs. It is also easy to tighten it up to stop dogs backing out of it and doesn’t slip to the side if your dog does drop back to run beside you. I recommend this harness to owners who are unsure if their dog is going to pull out front or who already know their dog drops back by their side sometimes when running. The Half harness is great for these dogs because it allows them to pull freely when they do want to run but won’t flap about like a long harness might if they drop back. It is also a good harness for dogs who run strongly but do not like the feel of a long harness by their tail or who may have a medical reason for favouring a shorter harness (i.e. a hip problem where it is better to keep any pressure away from the rear end of the dog). It can be used for most dog sports including canicross, bikejoring and just walking. Finally, the Non-stop Half harness comes in 7 different sizes that cater from the smallest breeds right up to the giant breeds of dog. It has already proved very popular with people who want something very practical to both walk and canicross their dog in. 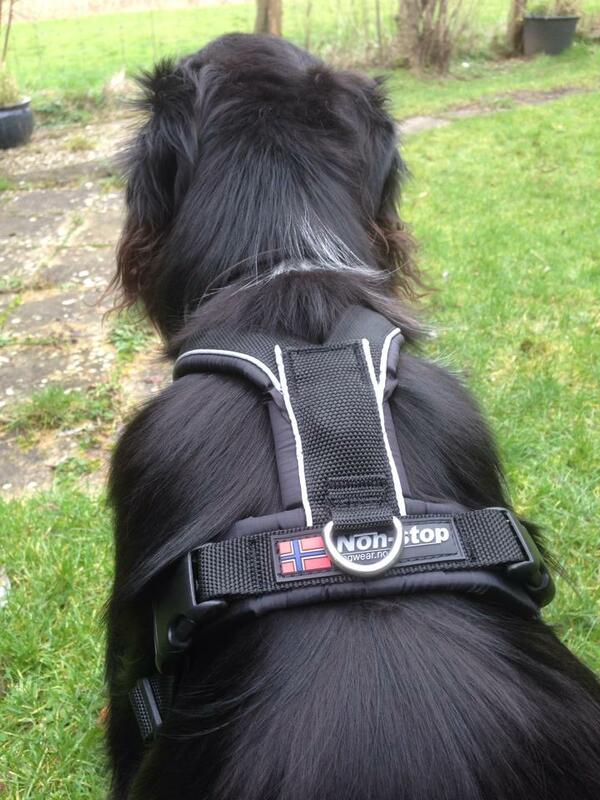 It is a fantastic multi-purpose harness and as a result, we sell loads of these here at K9 Trail Time.